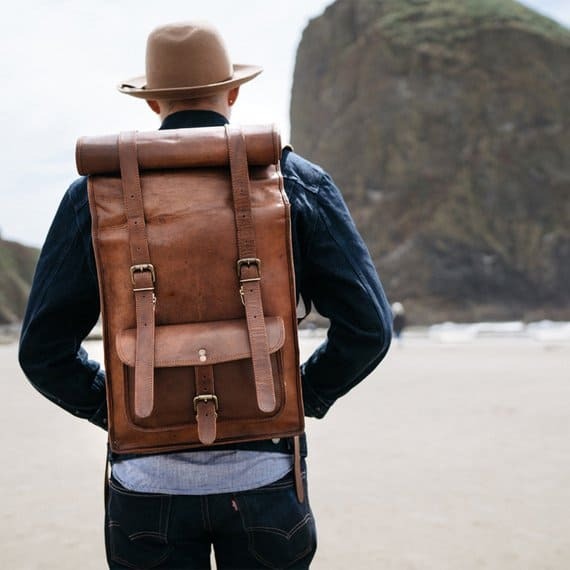 Grab this Mens Leather Backpack Rucksack for ONLY $34.79 when you use the code S5FOGYMK at checkout! Padded Shoulder Straps & Back Cushion: Thick foam padded comfortable shoulder straps and back cushion, can relieve your body pressure. Even prevent shoulder strain. There are metal rings on straps, you can hang your sun glasses or other things on it. Even comes with an adjusting nylon strap which can fix the distance between the shoulder strap, effectively relieve shoulder pressure also. 9 Compartments & 1 Multifunction hiding anti-thief pocket, satisfy with your so many needs. Everything can be placed in a correct pocket or place, convenient to use our TOPWOLFS brand bag at ease when go camping or go outside. Even we have strengthened the stress point, which can carry many heavy things, very suitable for the student to carry books. Multifunction Bag: Durable for hiking, camping, traveling, day-trip, school bag, book bag. Also perfect for men, teens, boys, and college students. We have it in color Khaki/Army Green/Black/Gray/Blue, match your various styles.